I felt like Lauren and Eric’s engagement session at Mid-lothian Mines Park went through two seasons in the blink of an eye! The couple started off in summer, wearing their more ‘formal’ outfits. The sun was really hot, and Lauren’s striking red dress really stood out with the backdrop of green and the hint of fall gold leaves. 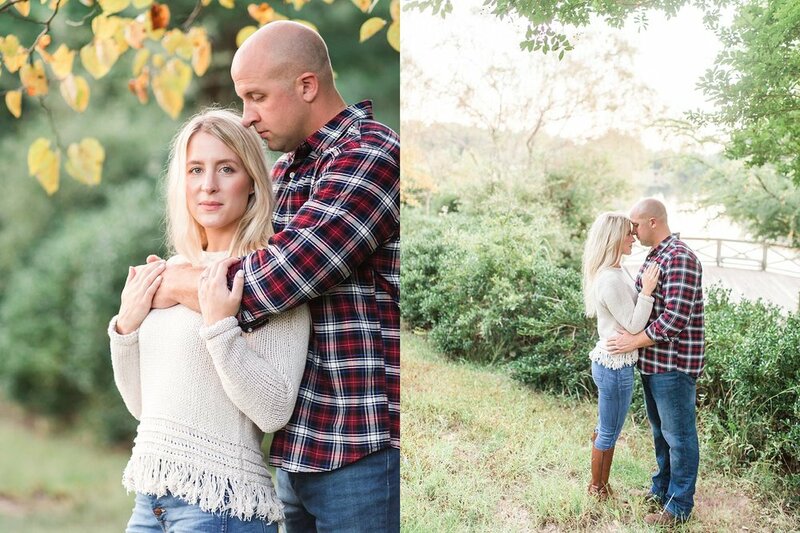 Then they changed into their more casual ‘Fall’ outfits and the sun had dropped a bit, and just like that, their session switched from looking like summer, to definitely looking like a Fall engagement session! I had a great time getting to know this cute couple a bit as we walked around the park. They first met up when Lauren (now a nurse) was waitressing, and Eric gave her his number. After 8 years together, Eric got down on one knee in Corolla, NC as the pair hunted for ghost crabs on the beach. 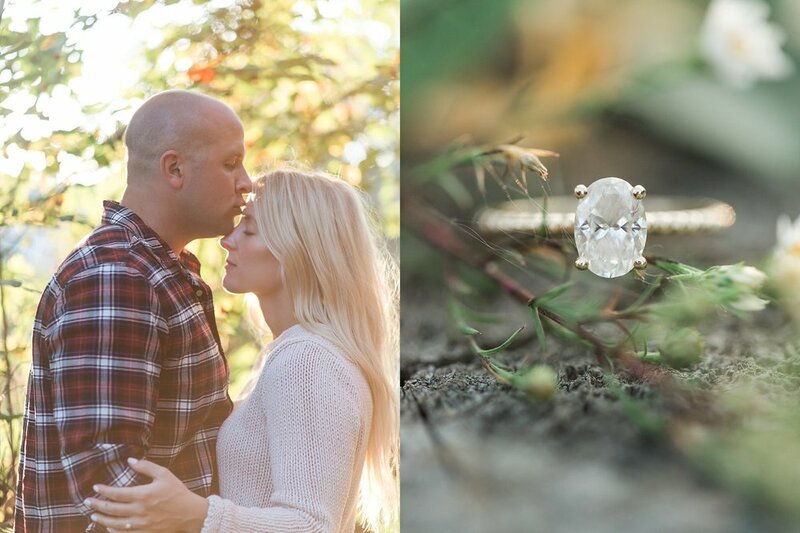 Here are a few of my favorite images from Lauren and Eric’s fall (and summer) Richmond engagement session!